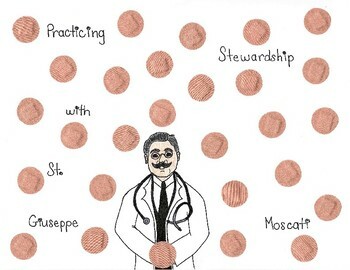 This is a packet to aid with a lesson on St. Giuseppe Moscati and the virtue of stewardship. 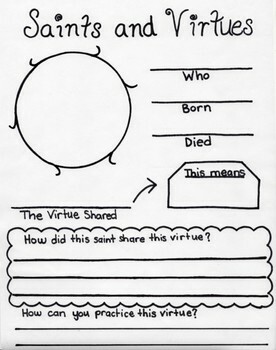 It is the second packet for a nine month Saints and Virtues study for "Growing in Faith." -Check-off path-Check off or place a sticker on the bandages of stewardship each day that the virtue is practiced. 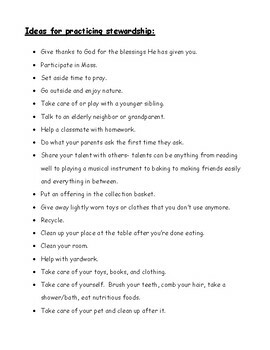 -Idea sheet-Ideas for practicing the virtue of stewardship. -Comprehension activity-How St. Giuseppe Moscati practiced the virtue of stewardship and how the child can, too. -Recall activity-Draw/write about your favorite way of practicing stewardship.